For some unknown reason I had always thought of BP as the ‘least bad’ oil company. 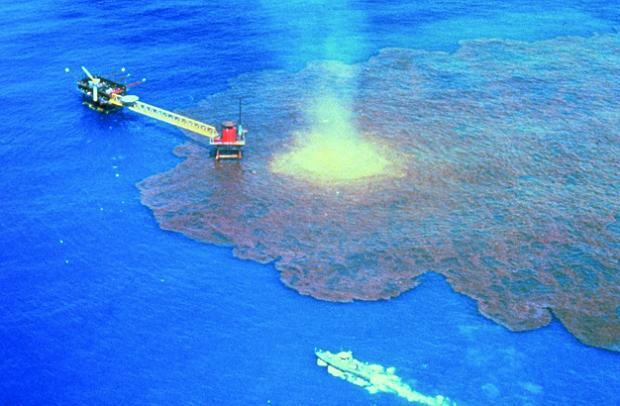 Then they spilt nearly five million barrels of oil into the Gulf of Mexico. Then I read Spills and Spin. Tom Bergin’s first book, which begins with thick mud raining onto the deck of an offshore supply vessel in the Gulf of Mexico, chronicles the thirty years of BP history leading up to the spill. As such, it is as much page-turning thriller as it is an historical account. Bergin neatly weaves company history into the drama of the days and weeks following the worst oil spill in history and keeps you gripped at every stage. Bergin’s unique position as a trusted Reuters journalist who had access to top BP executives could have limited his ability to comment critically on the company, but this certainly doesn’t seem to be the case. Spills and Spin digs deep into the shady history of the world’s fourth biggest company and documents BP’s history of cost cutting, outsourcing and reckless risk-taking. Bergin rejects the commonly held view that Paul Heywood, the company’s CEO at the time of the Deepwater disaster, was a scapegoat for the mistakes of others. Instead, the story Bergin uncovers is one of deeply ingrained myopia within BP’s senior management which has led to years of appalling laxity around health, safety and environmental protection. One telling example is that BP, unlike other oil majors in The Gulf, only monitored its oil platforms during office hours, which proved particularly useless when the crisis began to unfold after 9 o’clock at night. The further Bergin explores BP’s governance over the last few decades the more surprising it becomes that a disaster on the scale of Deepwater hadn’t happened sooner. At the same time as cutting corners in health and safety, investing in oil derivatives and promoting short-termism amongst their staff, BP also built a powerful PR machine. As a result, to the outside world it seemed that BP were the first oil company to take climate change seriously. Bergin argues that the company saw its ‘green’ branding as ‘a necessary piece of external communications’ rather than anything concrete. For instance, after an announcement, in 2005, that it would invest $8bn in alternative energy, BP went on to plough most of this money into gas power – hardly a move away from fossil fuels. Bergin leaves no doubt in the minds of his readers that we have been sold a lie by BP on their attitude to climate change, but it was only after the Deepwater spill that the PR machine began to break down and those who had been converted were able to finally see the company for what it really was. Bergin merges his expertise in energy companies with a sensitivity that you’d hardly expect from a journalist working for the ‘wires’. When BP fail to plug the leak at Deepwater you can feel Bergin’s anger, disappointment and ultimate sadness at what’s going on. This book is not revolutionary. It doesn’t directly challenge the hegemony of big oil companies or suggest solutions for the future, but it doesn’t pretend to either. It is a fantastically well-written investigation into a company that has used its powerful brand to cover up a reprehensible attitude to its workers and the planet’s well-being. Though Spills and Spin suggests that BP is the worst offender there is no doubt that an equally revealing book could be written about the shortcomings of Shell or Chevron. One can only hope that there are more journalists like Tom Bergin out there who can expose these hugely influential companies for the increasing danger that they pose to our future.